Last year's Chinese submission for the Best Foreign Language Film Oscar—a rare documentary in a category dominated by narrative films—offers a fascinating, human perspective on Beijing's preparations for the 2008 Olympics. Filmed over the course of five years, DREAM WEAVERS follows five interwoven story lines: the plight of one of the 4,000 families who were relocated to make room for the Olympic Village; the construction of the innovative, welded-steel Bird's Nest stadium; the grueling regime of young female gymnasts; the training of hurdler Liu Xiang; and the training of the Beijing SWAT team. Admission is free for Portland Art Museum members or with admission ticket to “China Design Now,” on view until January 17. 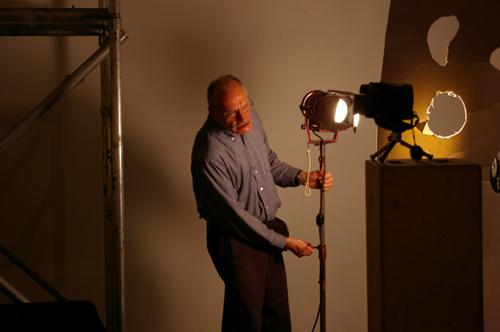 George Kuchar will give a free lecture on February 1, 2010 as part of PSU's MFA Monday Night Lecture Series. Click here for more information. 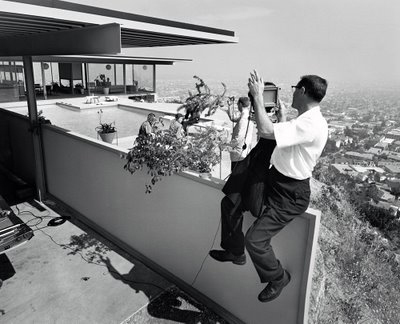 VISUAL ACOUSTICS celebrates the life and career of Julius Shulman, the world’s greatest architectural photographer, whose images brought modern architecture to the American mainstream. Shulman, who passed away last year, captured the work of modern architects since the 1930s, including Frank Lloyd Wright, Richard Neutra, John Lautner, and Pierre Koenig. His images epitomized the singular beauty of Southern California’s modernist movement and brought its iconic structures to the attention of the general public. Bricker’s film is both a testament to the evolution of modern architecture and a joyful portrait of the magnetic, whip-smart gentleman who chronicled it with his unforgettable images. Forty years in the making, THE PAINTER SAM FRANCIS is Perkins’ intimate portrait of a friend, mentor, and leading light of American abstract art. He retraces Francis’ life (1923-1994) and career from his childhood in California to his artistic maturation in post-war Paris, his time spent in Japan, and his return to the United States. Interviews with friends, family, and fellow artists—including Ed Ruscha, James Turrell, Bruce Conner, Alfred Leslie, and others—illuminate a mysterious and complex personality and its reflection in a body of work that is simultaneously diverse and singular. “Perkins asks us to bask silently in the majesty of an artist in his element; in one unforgettable shot, Francis stands atop a newly finished canvas, utterly transfixed. It’s a stirring snapshot of that strange space where the act of creating can be a religious experience.”—Time Out. 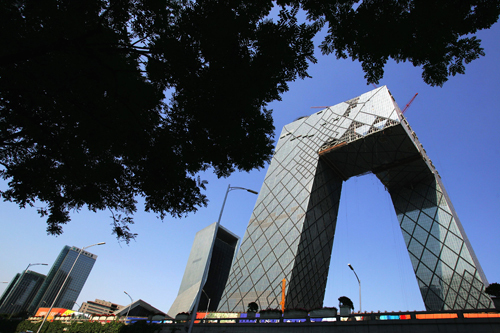 Rarely has an architect caused as much sensation outside of the architecture community as Rem Koolhaas. His outstanding creations—from his house in Bordeaux to our own Seattle Public Library—are working examples of his visionary theories about design and urban society. Yet for Koolhaas, provocation through a wide range of activities is more important than individual masterpieces. This playful and visually inventive new documentary takes the Dutch architect’s ideas and approach to heart. Koolhaas discusses his life and work, including his early experiments with filmmaking and his seminal 1978 publication “Delirious New York: A Retroactive Manifesto for Manhattan.” Including interviews with friends and colleagues, among them architects Joshua Ramus and Richard Meier, and a lively discussion between Koolhaas and German sociologist Dirk Baecker, A KIND OF ARCHITECT is a thought-provoking portrait of a true visionary. "The purpose of architecture is to create timeless, free, joyous spaces for all activities in life." That was visionary genius John Lautner's credo, and the guiding principle of this stunning tribute. After breaking with his mentor Frank Lloyd Wright, Lautner went on to build an amazing legacy of his own, substantially influencing Frank Gehry and others. 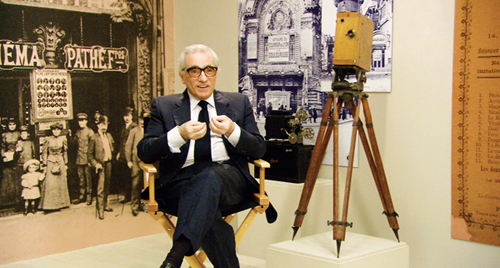 His life was marked by innovation and inspiration, endless battles with building codes, an accidental leap into the epicenter of pop culture, bitterness at lost opportunities, and finally, by monumental achievement. 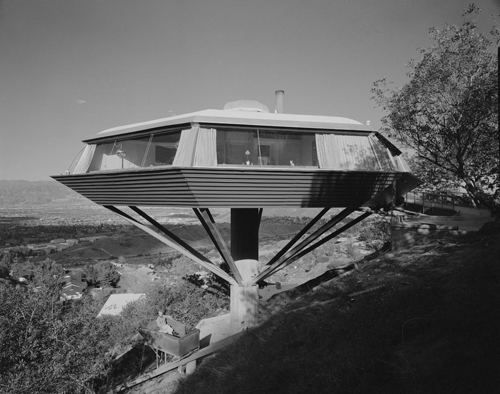 Lautner was idolized by young modernists, criticized by academics, and beloved by the clients who worked side by side with him to build their houses.